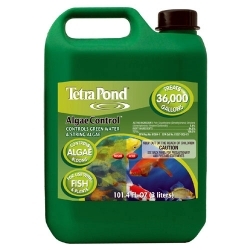 Effective at combating algae blooms (green water), string & hair algae (Spirogyra) and blanket weed (Oedogonium). Safe for ornamental plants and fish. Dilute the proper dosage in a bucket of water and pour into the treatment area. Treatment may be repeated if needed every three days up to three total doses.